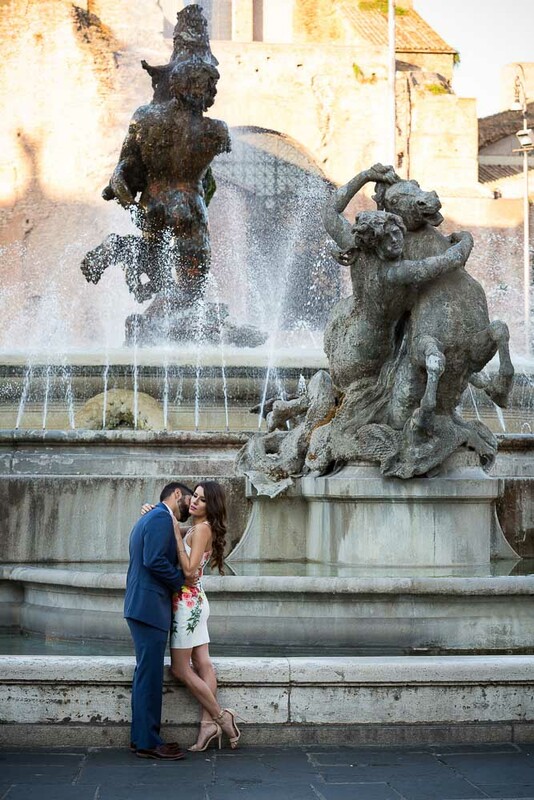 We started this fantastic photo session in Rome in around Piazza della Repubblica taking some romantic couple shots around the liberty columns and the water fountain found at the center of the square. Taking care to avoid the circulating cars around the roundabout square! Then we headed down to Piazza Barberini taking some nice portrait pictures in front of the sculptured fountain. From here on we had the sun setting in between buildings and we tried to capture in photography the last sun rays. 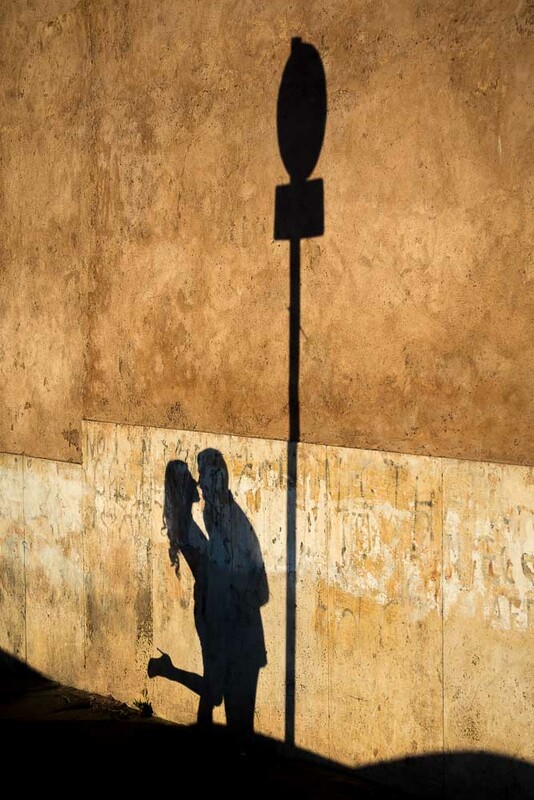 With some final pictures taken at the golden hour up on top of Piazza di Spagna and Trinita’ dei Monti. 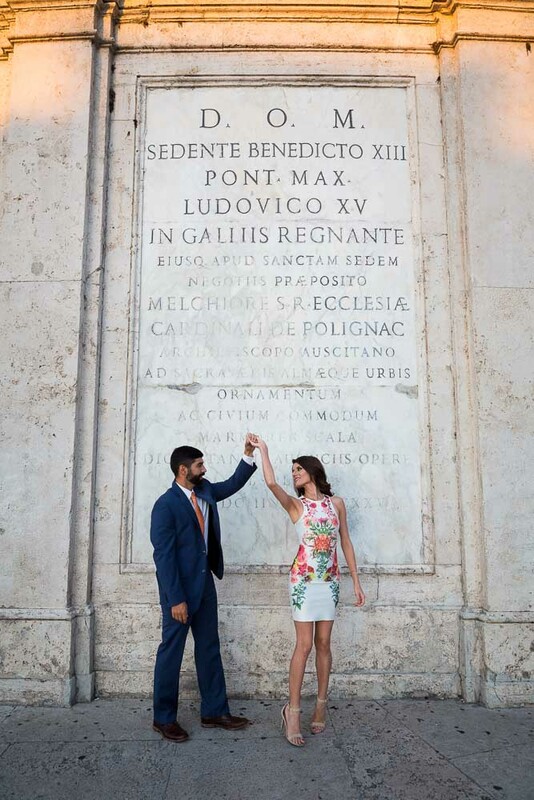 Then we made our way down the Spanish steps to reach the Barcaccia water fountain. 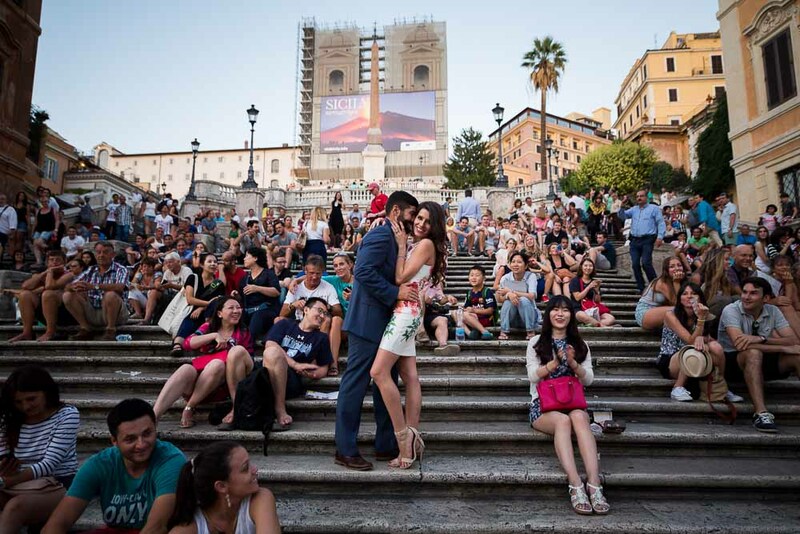 And mingled in among the tourist visitors sitting on the steps of Piazza di Spagna! Some fun pictures came out there! 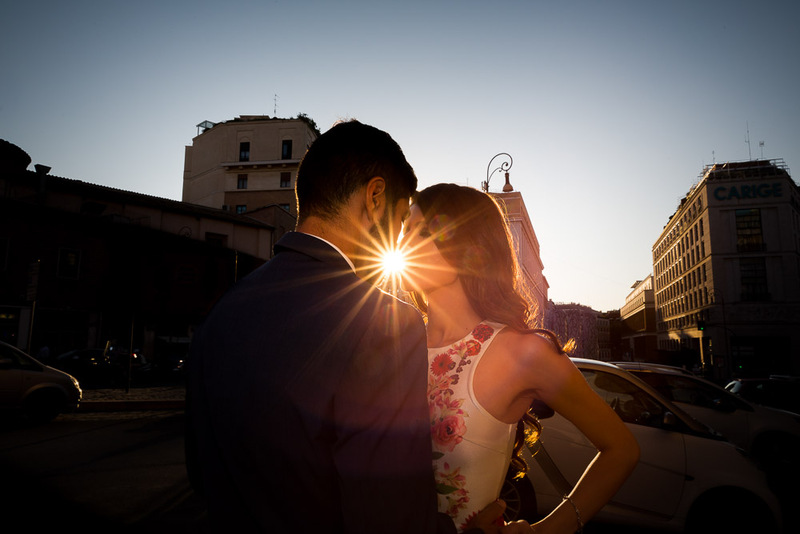 The photo session ended at Parco del Pincio where we took the final pictures.